Are you buying a baseball bat for your little slugger? Or maybe you already bought a bat and are having second thoughts? Here are some tips to determine if you purchased the right one. Whether your child’s glove is lost, too small, or it’s time to retire dad’s 30 year old hand me down - Here is a quick guide to getting a new glove and caring for it. In case you didn't notice, kids tend to grow quickly so for ages 5-10, a baseball glove may only have a lifespan of 2-3 years before they no longer fit. Baseball Monkey has size charts and descriptions to help figure out the best fit for your hand size and level of play. Have your child wear the glove around all the time to break it in. New gloves can be stiff with not much give. They can pound a ball into the glove repeatedly while just sitting around. You can even put a softball in the glove and wrap it up with towel or band to stretch it out a bit. Don't forget to put your name on it! A lot of gloves look the same and we have had some confusion at camps trying to figure out whose is whose. Write your name on the glove to avoid mix-ups and to help get the glove back in your hands in case it gets lost. While everyone is focusing on what to put on their plate this Thursday, don’t forget to keep your plate full with Legacy Sports Camps! Legacy Sports Camp is proud to partner with the River Forest Community Center (8200 Madison St. River Forest) to bring you quality youth programming including the Lil Legacy for kids age 3-6. The first session of the program is starting September 10 and runs until October 22, 2018. The 2nd session runs from Nov. 5 - Dec. 10, 2018. The fee is $90. click here to enroll. 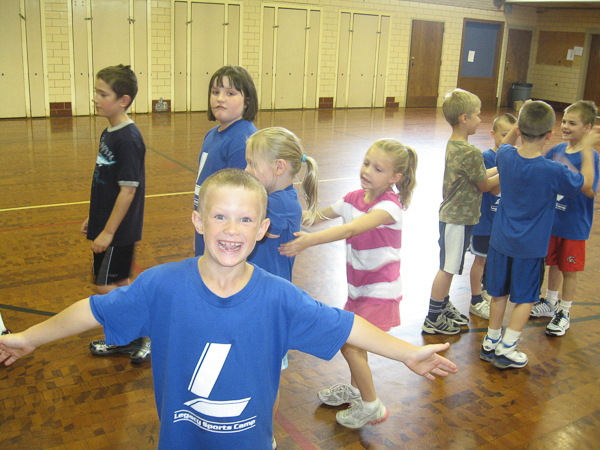 Exciting and fun games that keeps the kids moving and introduces them to the world of sports! 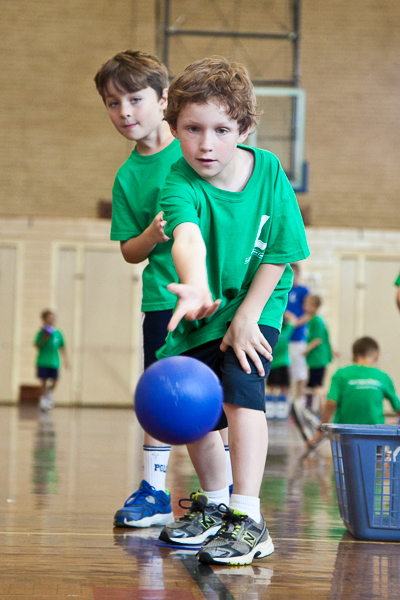 Students will learn and play in different games each week that will help improve their motor-skills, hand-eye coordination, teamwork and love of exercise. Registration for our partnered programs are held via the RFCC website, click here to enroll. Kids Youth Hoops Program that serves youths in the Illinois area including Chicago, Oak Park, Berwyn, River Forest, Forest Park, Lagrange, Brookfield and Lyons. 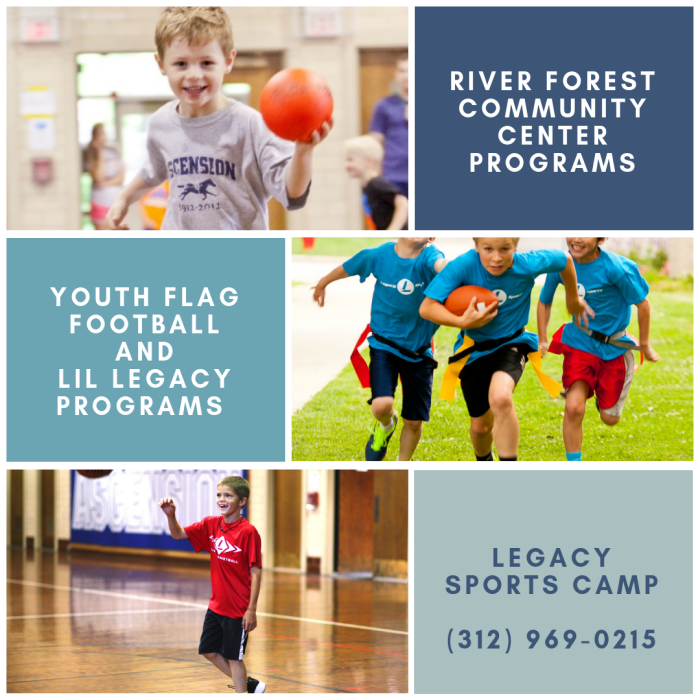 Legacy Sports Camp is proud to partner with the River Forest Community Center (8200 Madison St. River Forest) to bring you quality youth programming including youth flag football and Lil Legacy for young kids age 3-6. Legacy Sports Camp presents fall basketball camps for children in grades 4-6 and grades 7-8. These are coed camps and all youth basketball camps take place at St. Luke School Gym (519 Ashland in River Forest, Il). · October Session: Oct 2, 4, 9,11,16, 23. · This program will be filled with various drills, contests and games to develop a more fundamentally sound basketball player. This program will emphasize shooting, ball-handling, passing, defense, and decision-making. This program’s goal is to improve on each player’s current skill set through drills, game play situations and scrimmages. Drill focus will have a heavy emphasis on defense, rebounding, and fast breaking. This program is great for preparing and conditioning ahead of your school’s upcoming basketball season. Register now and put a down payment on the Legacy Basketball Fall Travel program for boys and girls in grades 4-9. Celebrate your special day with Legacy Sports Camp! Birthdays are primarily held at the River Forest Community Center (RFCC) at 8200 Madison Street in River Forest, IL. Ages 5+ for up to 20 participants. 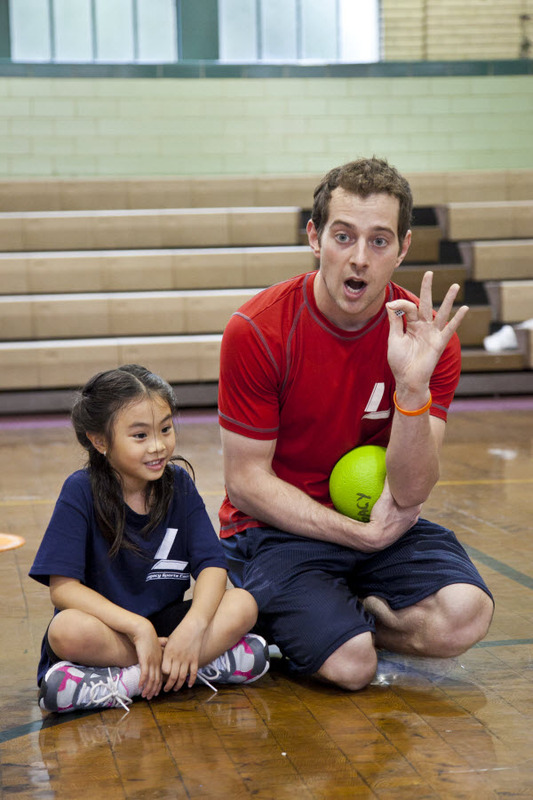 Legacy staff will supervise and lead the group in games. Food is not provided but food/dessert can be served in dining area. 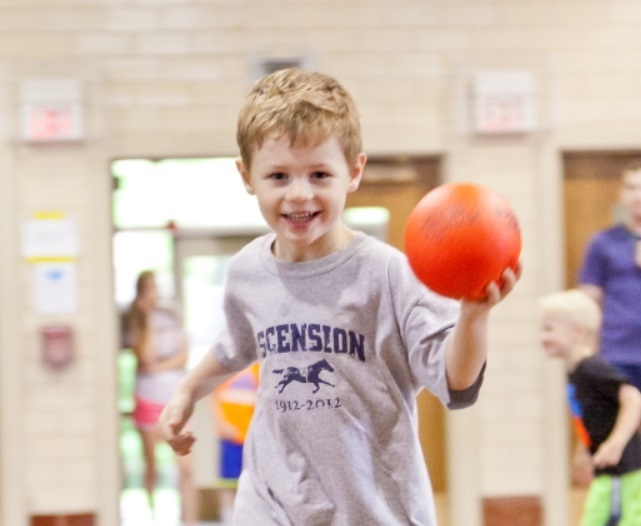 Activities: Basketball, soccer, dodgeball, floor hockey, or any of our many multi-sports madness games. Not sure? Just ask! We require all parties to put down a $50 deposit to reserve a party date/time. Balance payments must be made within 24 hours of party time. Now is the time for children to learn the fundamentals of App coding & App design so they can become makers of technology instead of just users of technology! 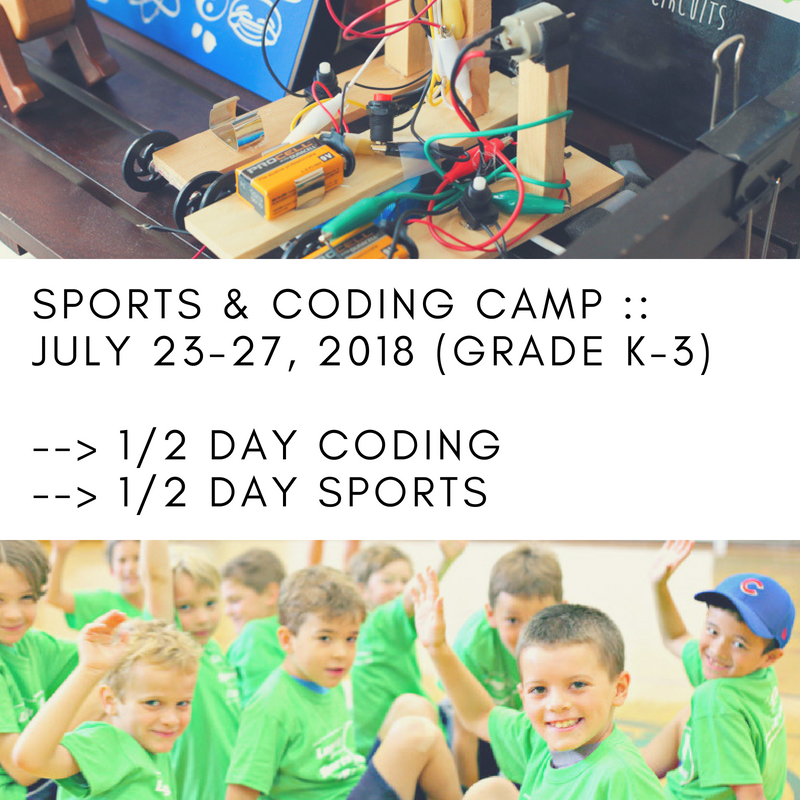 This app coding & sports camp is designed for students who are currently in 3rd through 7th grade and is ideal for new and returning campers. Legacy Sports activities will take place at The Tennis and Fitness Centre located at 301 West Lake Street. Code Play Learn's activities will take place across the street at 132 N. Ridgeland Avenue. The campers will be walked between locations by staff from Legacy Sports. Space is limited to the first 15 campers. 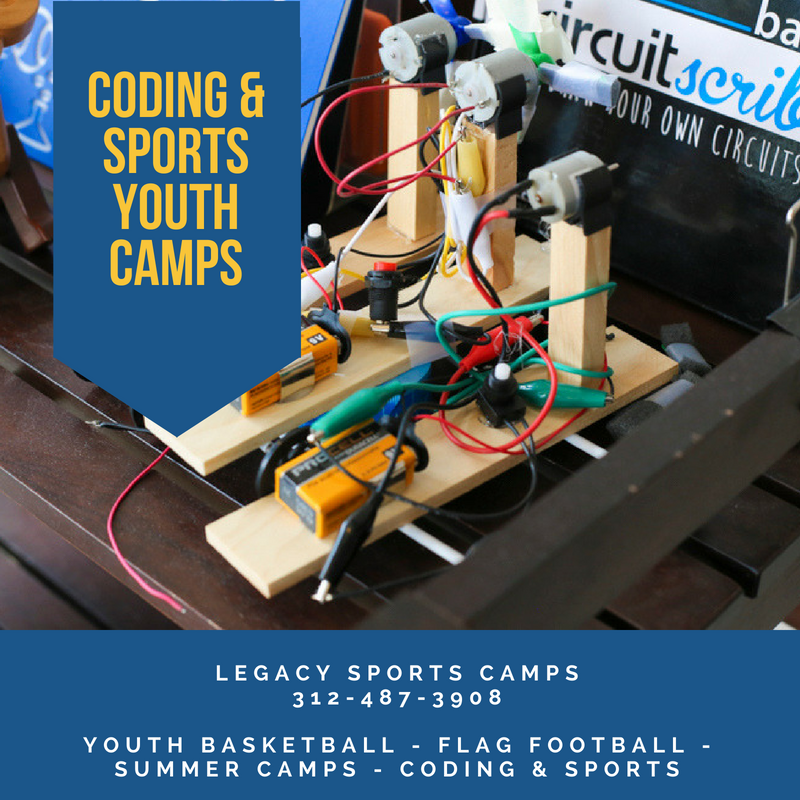 Take a look at some of the spotlighted upcoming coding and sports camps below. Register now for the Legacy Sports Camp Basketball Fall Travel program for girls in grades 4-9. Children Sports Program that serves youths in the Illinois area including Oak Park, Berwyn, River Forest, Forest Park, Lagrange, Brookfield and Lyons. Legacy Sports and Code Play Learn are partnering to create a week long, full day camp that will engage your child’s body and mind. This camp is specifically designed for students who are currently in Kindergarten, through 3rd grade. Campers will spend one half of the day at our STEM Sampler Camp. Each camper will build their understanding of STEM as they code, construct and play. Explore circuits and electronics while they build their own contraptions; and bring their creations home! Legacy Sports activities will take place at The Tennis and Fitness Centre located at 301 West Lake Street. Code Play Learn's activities will take place across the street at 132 N. Ridgeland Avenue. Campers will be walked between locations by staff from Legacy Sports. Space is limited to the first 15 campers. 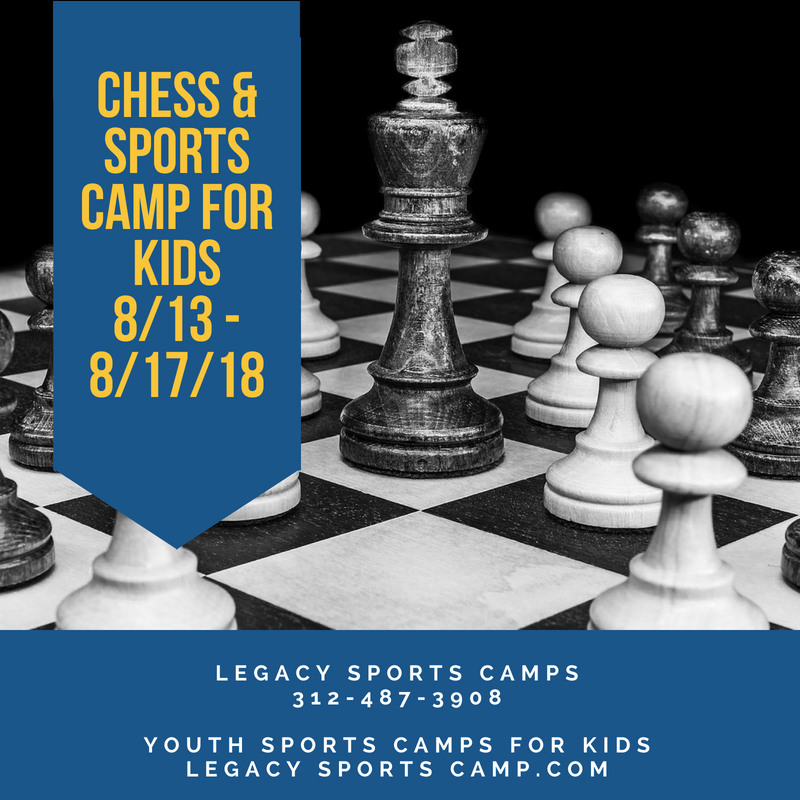 Develop your child's mental clarity, fortitude, stability and overall health with Code Play Learn and Legacy Sports new Chess and Sports camp. Camp takes place August 13-17 and is for children of all skill levels in grades 1-5. For one half of the day, campers will learn how to evolve their chess game. 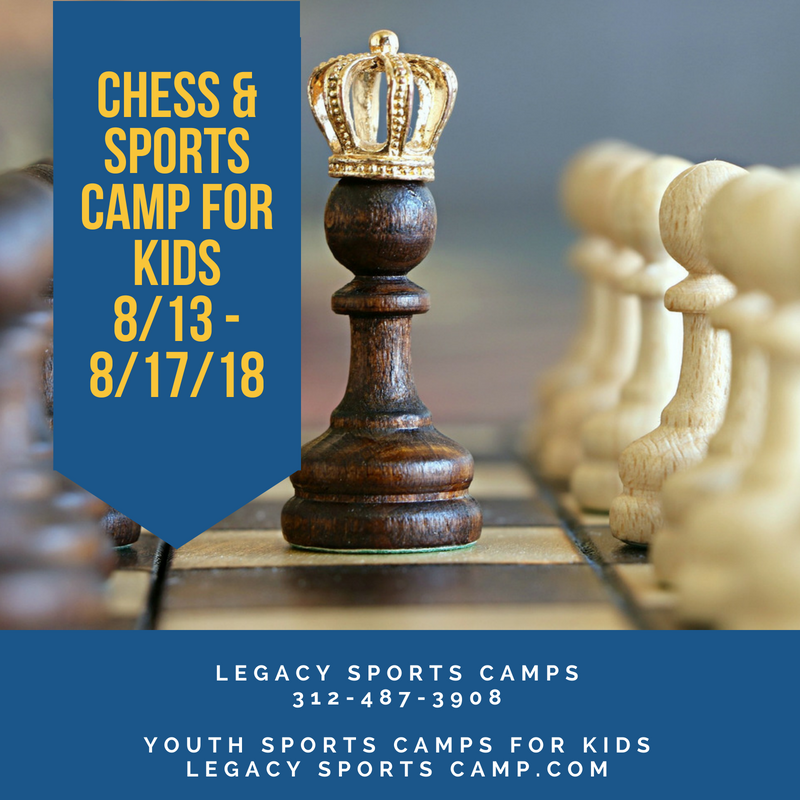 Whether your child is an absolute beginner or a strong tournament player, we have the right curriculum and teaching methods to keep him or her engaged, learning, and having fun; including an in-house chess tournament where all students will get a medal, and the first place winner receives a trophy! Through chess, children will develop analytical, logical, and decision-making skills. Research has shown that test scores improved by 17.3% for students regularly engaged in chess classes, compared with only 4.6% for children participating in other forms of enriched activities. Our camp will be taught by U.S. Candidate Master John Crissman. John has taught chess professionally for over seven years and in over 30 different schools. He loves working with students of all ages and skill levels. 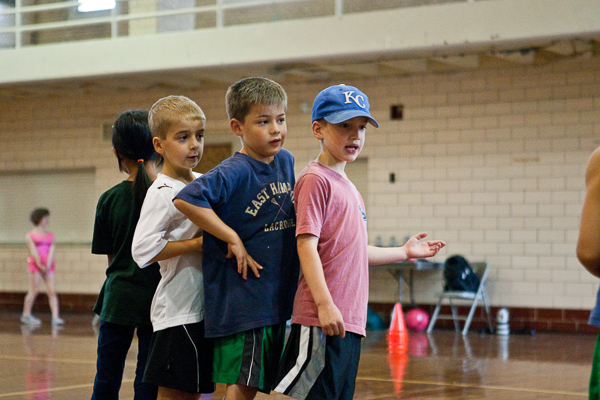 Campers will spend the other half of the day engaged in a variety of athletic activities, featuring dozens of Multi-Sport Madness games like Treasure Island, Hand Hockey, Illinois Jones, Countdown Dodgeball, Battleship, Capture the Flag and soccer. These activities ensure that campers learn how to communicate with each other and work as a team to accomplish their goals. Legacy Sports Camp has a variety of sports apparel and gear available for purchase. This includes Baseball Caps and Legacy Sports Camp T-Shirts for sale. - View the Baseball Caps - $17.00 - Snap Back adjustable caps in youth size. 3D stitched logo. - View the Legacy Camp T-Shirts - $7.00 - Available in Red, Electric Green & Safety Orange. - View the Winter Caps - $20.00 - One size fits all. Charcoal & Blue colors. Learn about engineering as they build a Whiffle Ball Shooter and Egg Crusher. Use our 3D CNC machine to design and cut their own 3D carvings and games. 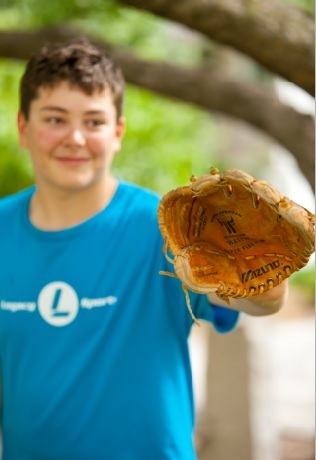 Legacy Sports offers special events for all ages. School Fund Raisers, Company / Corporate Events, Scout Club Meetings, Adult Sports Events, Kids Sports Events, Block Parties and more. 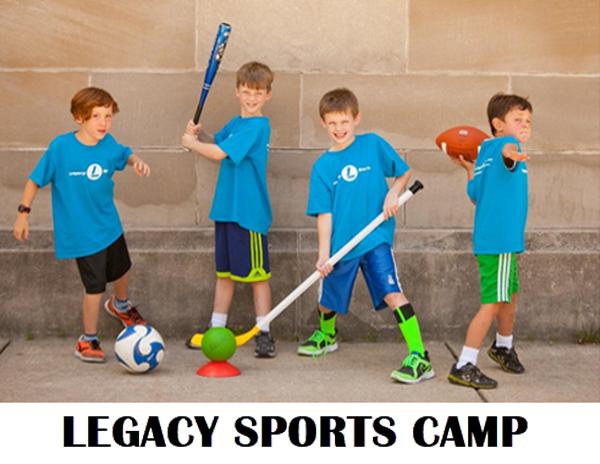 Fill out the online form to setup your next special event with Legacy Sports Camp. 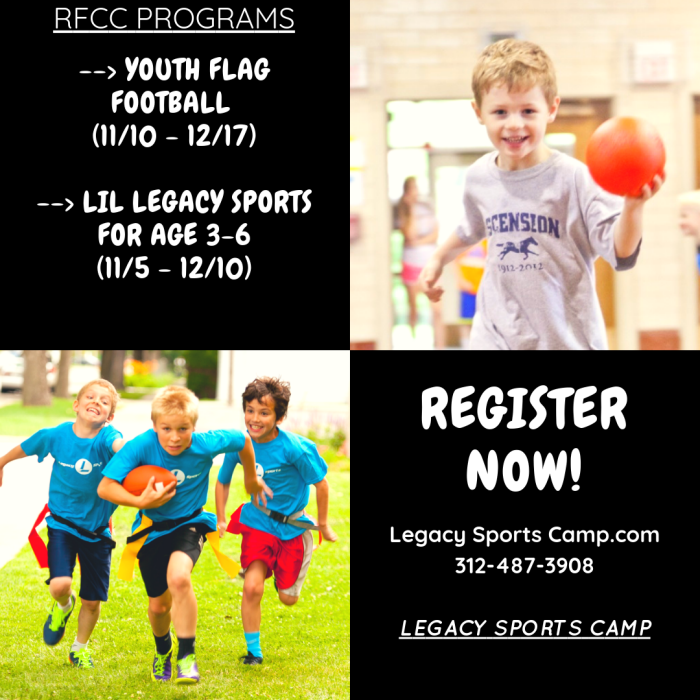 Legacy Sports Camp provides Basketball Camps to boys and girls in grades 4-7, After School programs to Oak Park, River Forest & LaGrange Schools, Coding Sports Camps for grades K-8th, Flag Football Leagues, RFCC Programs and Special Events. Chicago area Youth Sports Program serving youths in the Illinois area including Chicago, Oak Park, Berwyn, River Forest, Forest Park, Lagrange, Brookfield and Lyons.